Givon Snir joined Dori Media Group in 2014 as a co-founder of MeMeMe Studios, a multi-channel network. Givon is an established Israeli director, creator and producer with vast experience in prime time television, commercials and documentary work. 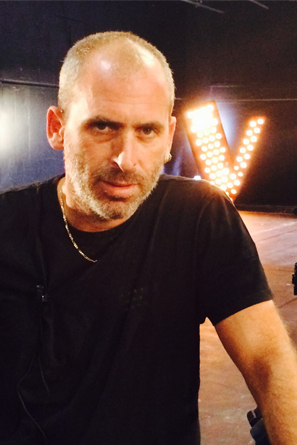 Most recently he directed the Israeli versions of “The Voice” and “Master Chef”. Prior to co-founding MeMeMe Studios, Givon was the founder/CEO of “Reality Media”, a company specializing in high rating reality shows for Israeli’s top channels. In this capacity he directed and produced hit shows such as “The Biggest Loser”, “Love Bay” and “Got Talent”. Before founding “Reality Media” Givon was a freelance director of shows such as “The Ambassador” (the Israeli version of “The Apprentice”), “Who Wants to be a Millionaire”, “The Amazing Race” and many more. Additionally, he directed dozens of commercials for top agencies such as McCann Ericson, BBDO, Ogilvy and others. In addition to his above commercial oriented work, Givon enjoys participating in unique documentary projects. He’s documentary work includes the series “Moty’s For Life” and “The First Million Dollar Manuel”. Givon holds a BA degree in Cinema and Television from the Tel Aviv University.